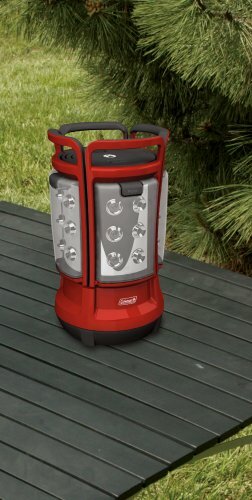 An area light and four portable lanterns in one clever unit, the Coleman LED Quad Lantern is a versatile choice for indoors or outdoors. 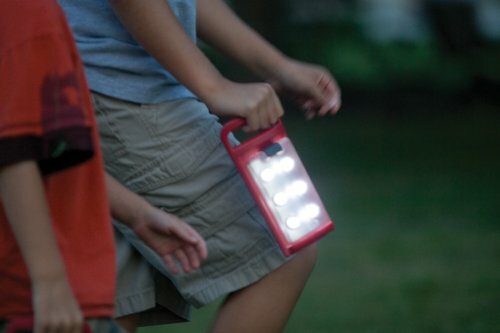 The Quad Lantern’s four removable panels hold 24 LEDs total. 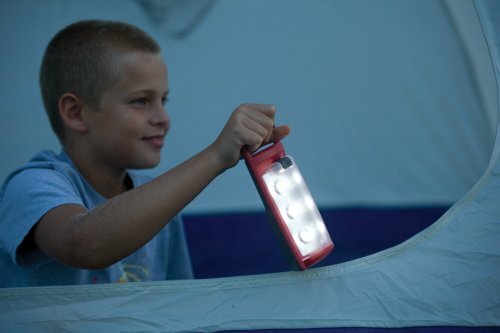 Each of the four sections can be removed and carried as a portable light to go to the shower house, tent, or wherever one of your group needs some light. When the sections are returned to the lantern base, they easily reattach and immediately start to recharge as well as illuminate. 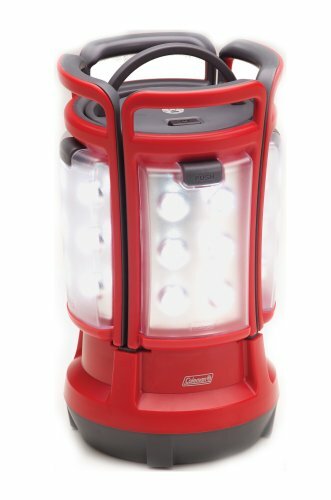 The Quad Lantern features six 5mm white LEDs in each panel (24 total), shedding 190 lumens of light. 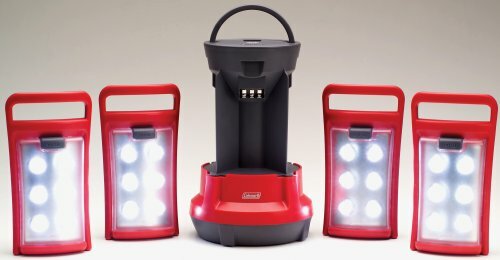 The wide-angle LEDs are behind a textured lens for dispersed lighting. Each section also has a handle on top to carry it or hang it. 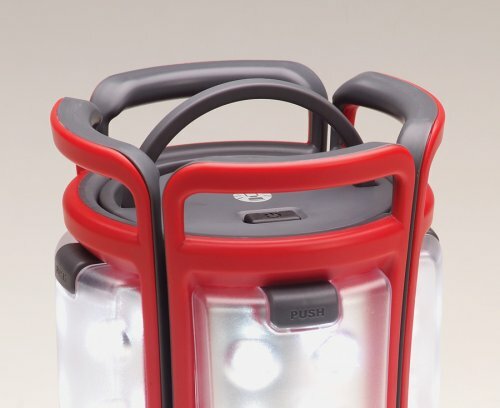 A main on/off switch is located on top of the lantern; each removable section also has its own switch. 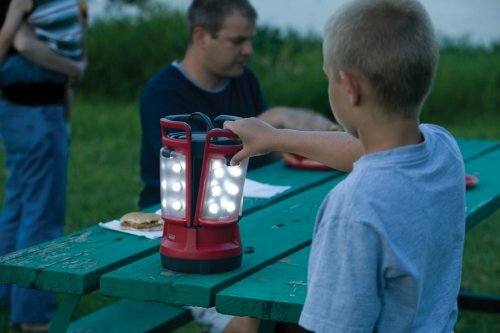 Powered by eight D-cell batteries (not included) that are housed in the lantern base, the LED Quad Lantern operates for up to 30 hours. 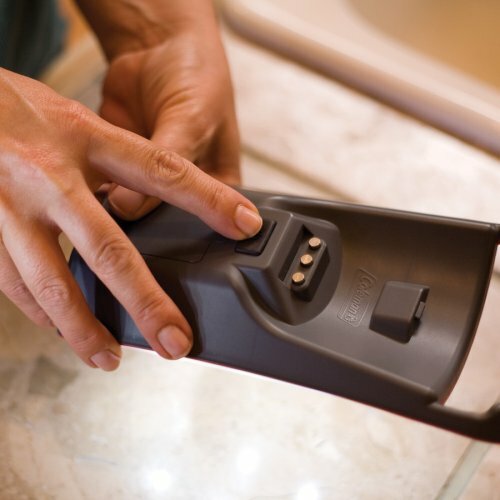 Each of the four panels also contains an included rechargeable NiMH battery that powers the panel while in use away from the base. When docked back into the base station, each panel is recharged from the main D-cell. 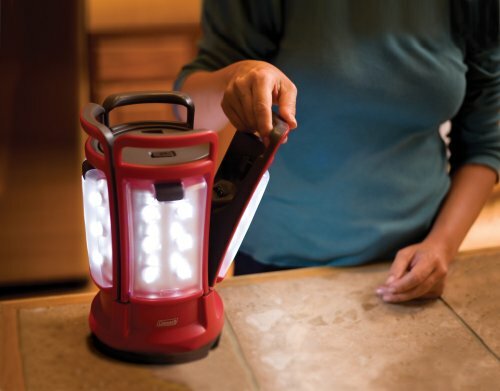 Each fully-charged panel will run for up to 1.5 hours while separated from the base.